Nuun Performance vs. e-Fuel | Which is Better? 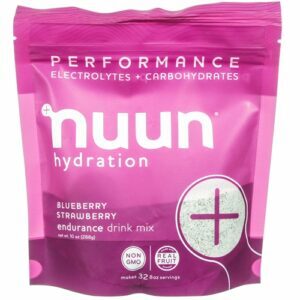 Nuun Performance adds carbs/calories to the traditional Nuun tablets, but very little compared to e-Fuel and other “performance” drinks. e-Fuel provides more than twice as much energy to supplement your glycogen stores to allow you to perform at a higher level for a longer duration. e-Fuel has half the simple sugars and 7 times the complex carbs of Nuun!